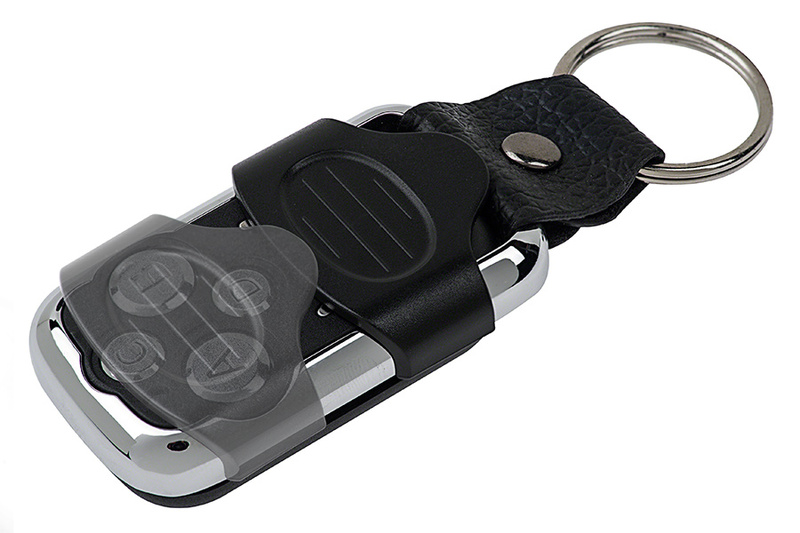 Vehicle-Ready LED Controller - Wireless RF Remote Key Fob: Showing Sliding Cover. 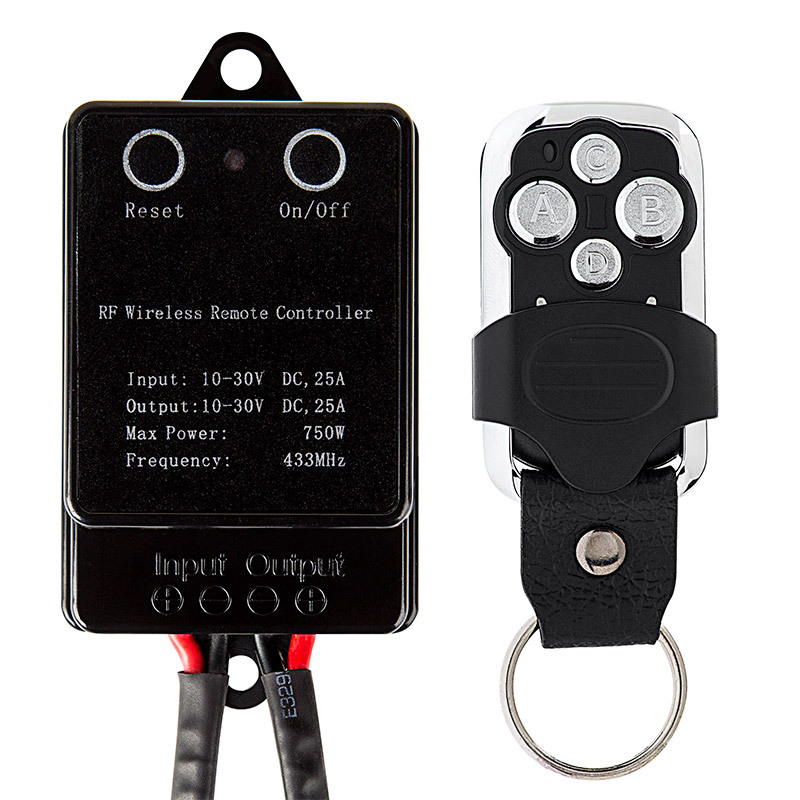 This LED controller with wireless RF remote key fob is perfect for operating the off-road LED light bar or LED work light on your vehicle. 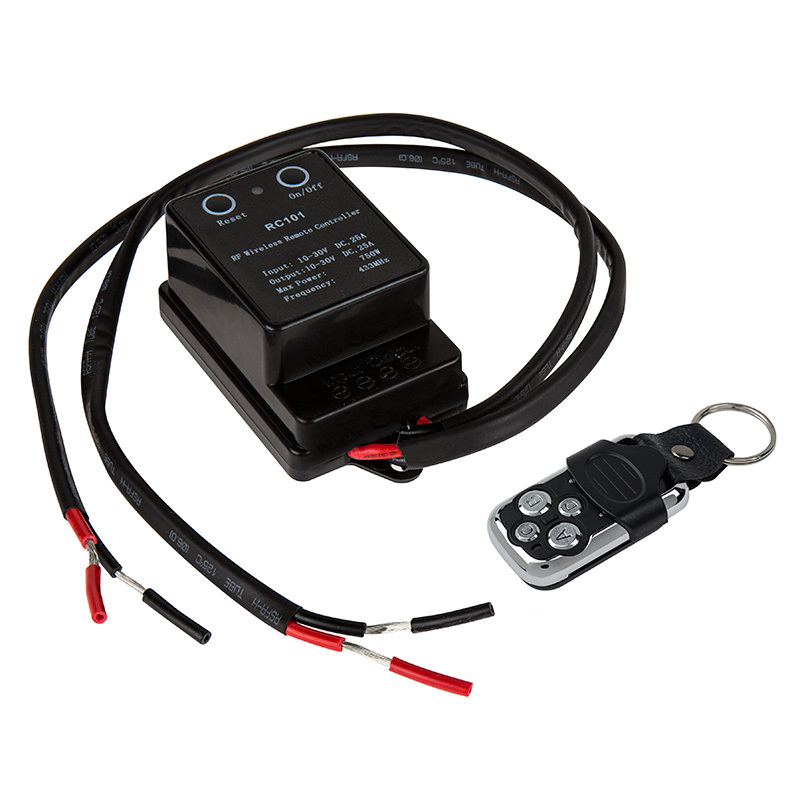 By using the controller and remote, an LED light bar can be wired without the need to use a wiring harness or drill through your vehicle's firewall. The LED controller has 9 flashing modes as well as an SOS emergency mode and can be operated from up to 164' away with the wireless remote. 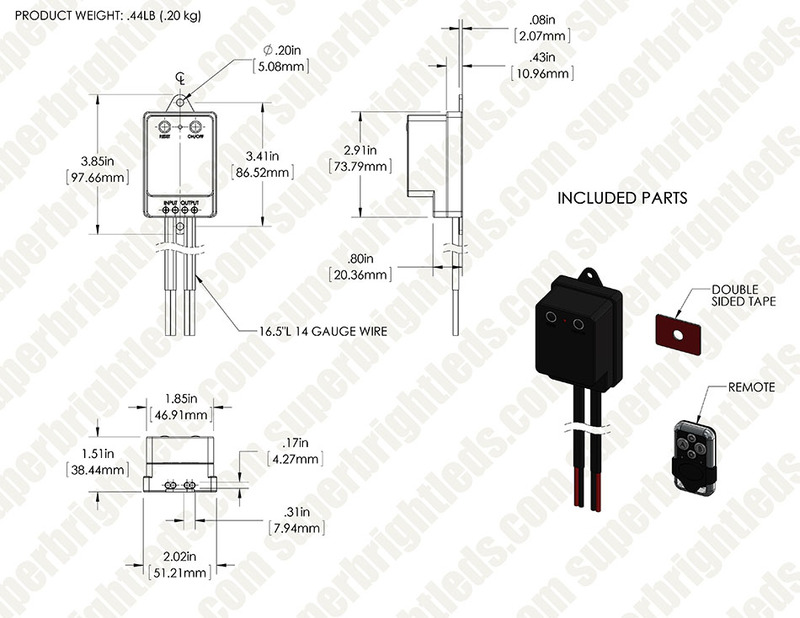 The controller has a maximum load capacity of 25 amps and is compatible with LED lights that operate within a 10-30V DC range. Separate wire leads allow for direct connection to your vehicle's battery and to your LED light. The controller has 2 screw mounting holes for permanent installation. Includes remote battery. I needed this because I use my light bars for camping and I wanted to be able to turn the lights on with a remote without having to turn the ignition key. Works awesome in that regard. Don't really use the flash options. I zip tied it under my truck to the frame and did not use the supplied 3m sticky tape. Simple to use. Does what it's supposed to. Main buttons to use are the larger two of the four. On the same ring as my motorcycle key, but have not been riding in the rain yet, so no information on how water resistant it is. Talked with customer service about this product before ordering because I had trouble with another brand name product like this one, they assured me that I wouldn't have issues with this one so I pulled the trigger. Super fast shipping and install was super easy. It works just like its supposed to. Thank you Superbrightleds for another great product.